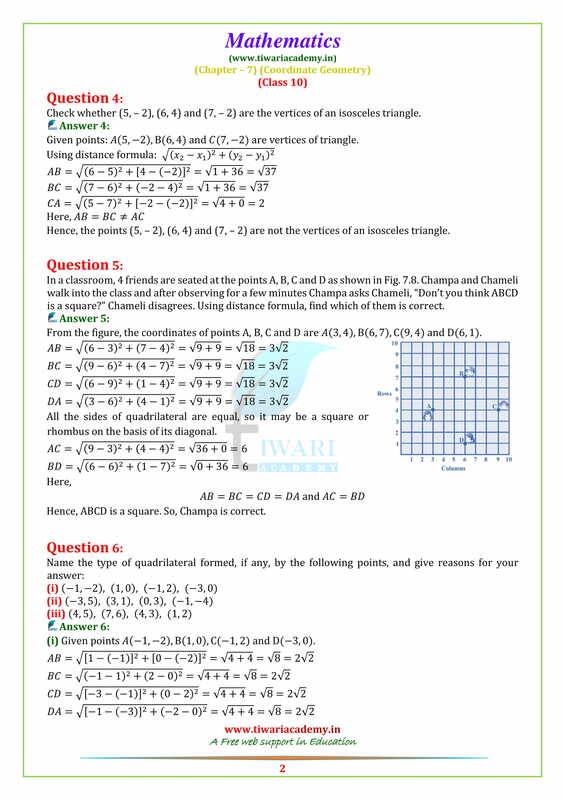 NCERT Solutions for Class 10 Maths Chapter 7 Exercise 7.1 of Coordinate geometry in English Medium and Hindi Medium view online or download in PDF form to use offline. 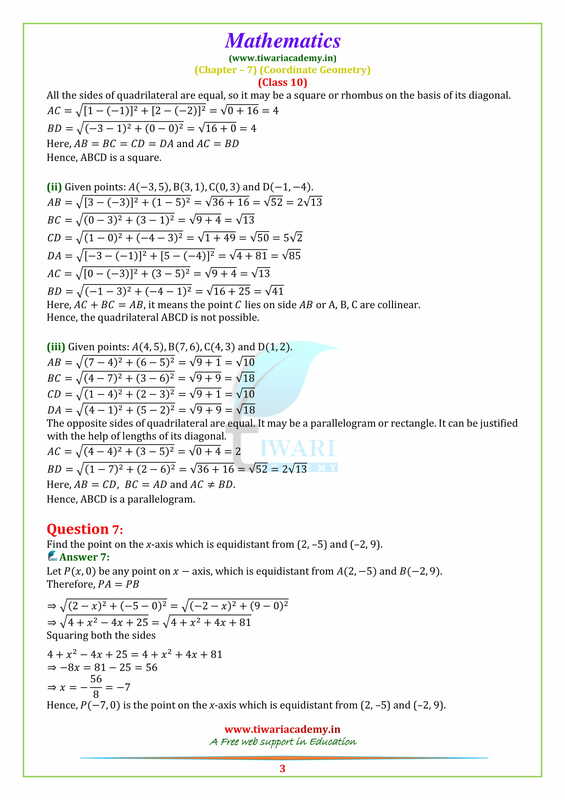 Download Exercise 7.2 or Exercise 7.3 or Exercise 7.4 also in PDF form here. 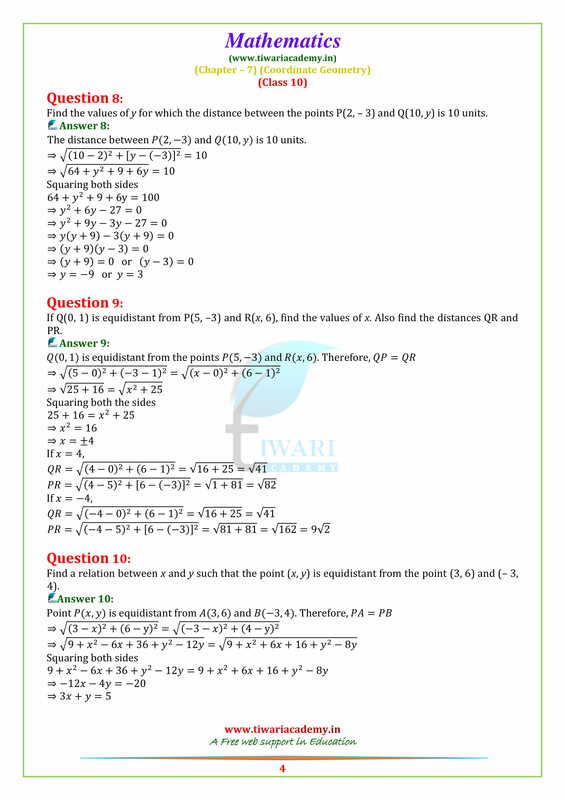 NCERT solutions for class 10 Maths all chapters. 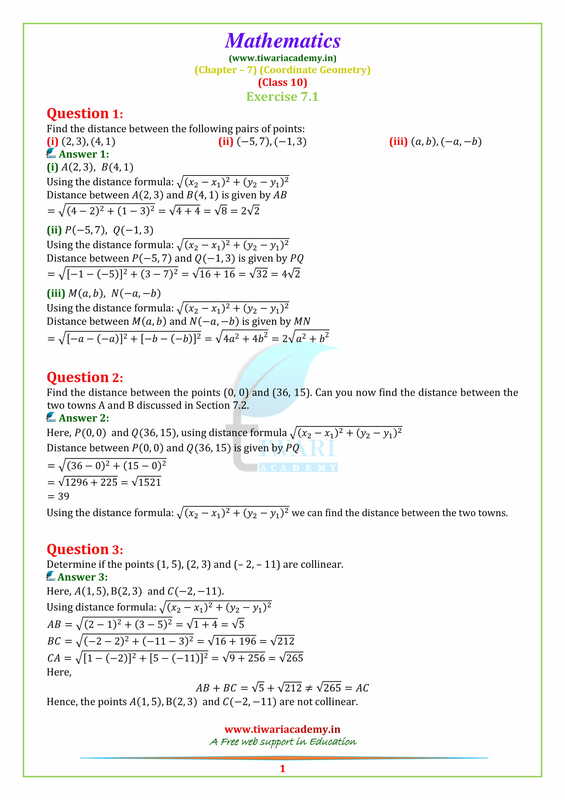 Solutions of other subjects are also given in PDF form to download. Show that the points (3, 2), (0, 5), (-3, 2) and (0, -1) are the vertices of a square. Prove that (4, -1), (6, 0), (7, 2) & (5, 1) are the vertices of a rhombus is it a square? Show that points (1, 1), (4, 4), (4, 8) and (1, 5) are the vertices of a parallelogram. By distance formula, show that the points (1, -1), (5, 2) and (9, 5) are collinear. Show that the three points (a, a), (-a, -a) & (-a√3, a√3) are the vertices of an equilateral triangle.